Goto Tools –> Option –> Mail Format. 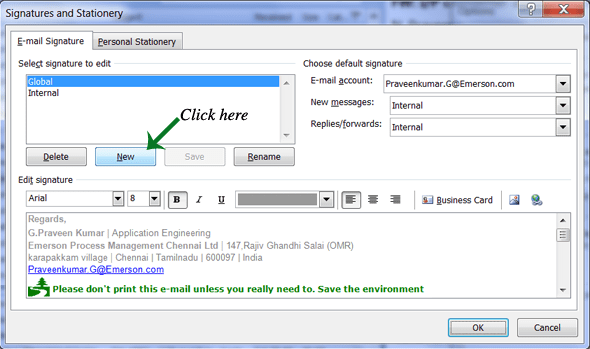 Click on the Signature to open the Signatures and Stationery dialog box. Now click on New to add a Email Signature. 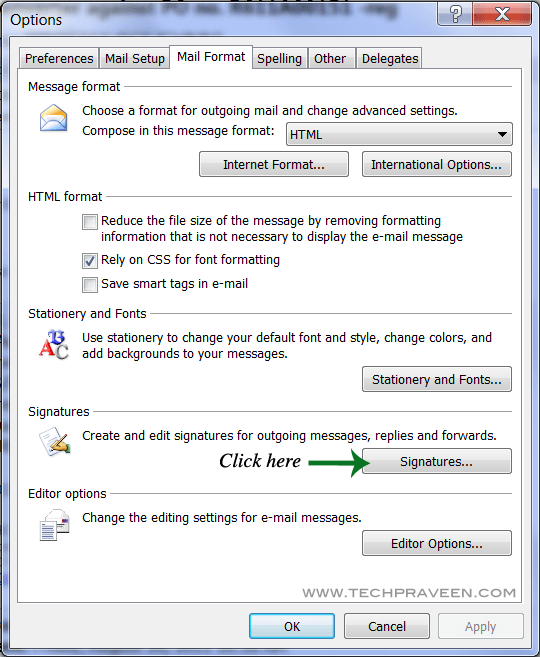 After creating a email signature click ok to save your settings. You can add more than one signature which helps you to use them for sending email to different groups(Family, friends, Business,… etc).